When standing atop ‘Green Thunder’ passengers will be almost as high as the Opera House. 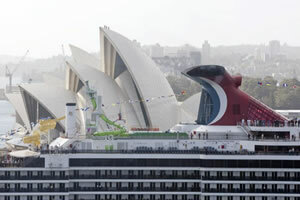 Crew and passengers lined the decks of Carnival Spirit with Aussie flags waving as the vessel sailed into Sydney harbour for the first time yesterday morning. 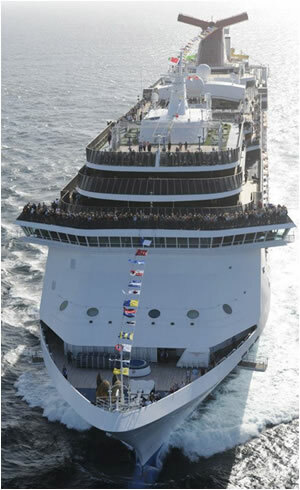 The harbour city turned on the sunshine as Sydneysiders gathered at the Overseas Passenger Terminal that was decked out with a welcome banner for the largest ship to homeport year-round in Australia. “There were thousands of people lining the decks with Aussie flags as we sailed into Sydney and I couldn’t resist but get on the microphone and yell out a big ‘Aussie, Aussie, Aussie’,” Carnival Spirit’s Australian cruise director Stu Dunn told e-Travel Blackboard. Carnival Spirit brought with her a host of Australian features including the special additions of ‘Green Thunder’, the steepest and fastest waterslide at sea and the lush adults-only retreat, ‘Serenity™. Australian power points, coffee, bacon, no tipping and an outdoor BBQ also feature as part of her multi-million dollar “Aussification”. “We originally came to Australia because we felt Carnival Cruise Lines would be a great fit with the Aussie personality – both being playful, outgoing and fun-loving,” Carnival Cruise Lines Australia & New Zealand director Jennifer Vandekreeke said. 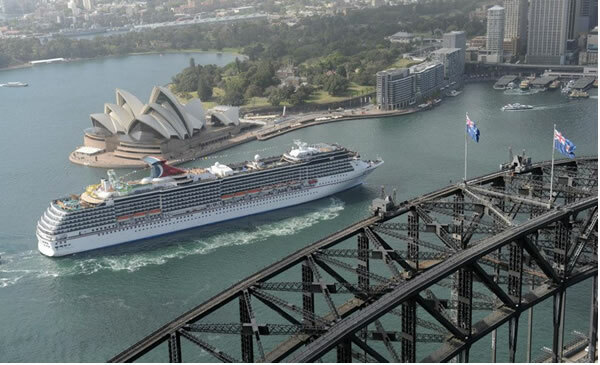 Carnival Spirit will sail on three- to 12-night voyages out of Sydney taking in Melbourne, New Zealand, the South Pacific and, in 2014, Tasmania.